We have officially had a full week of gray, rainy days in Charlotte. I have to really, really push through the way that weighs me down. Even though the kitchen is my oasis and I love love love to cook, I drag when there’s no sunshine. Enter a slow cooker recipe that turned out so much better than I expected that it actually lifted my spirits! 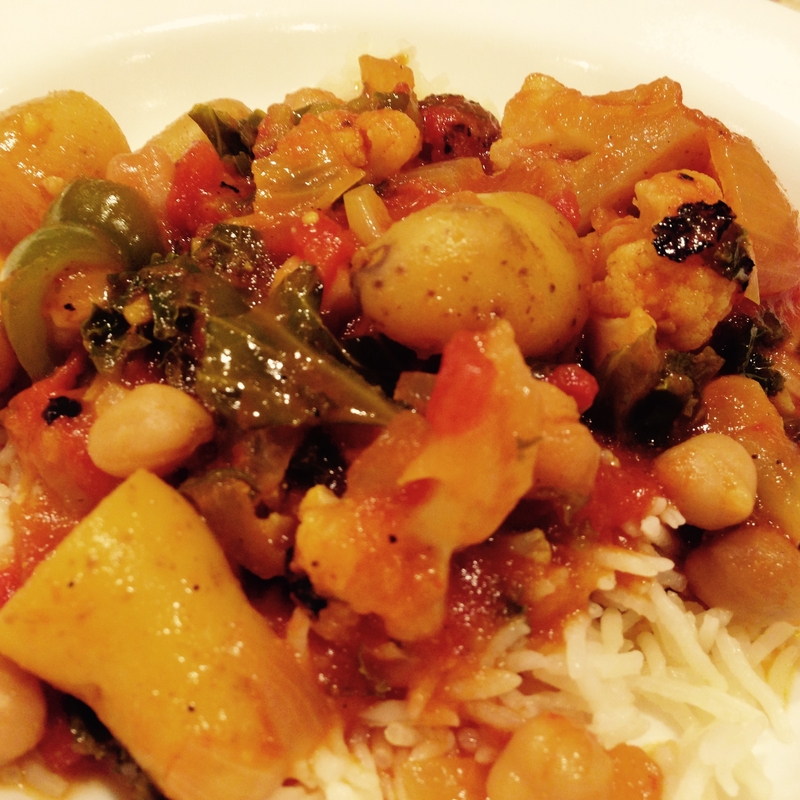 This recipe features everything that feels good and is good for you. 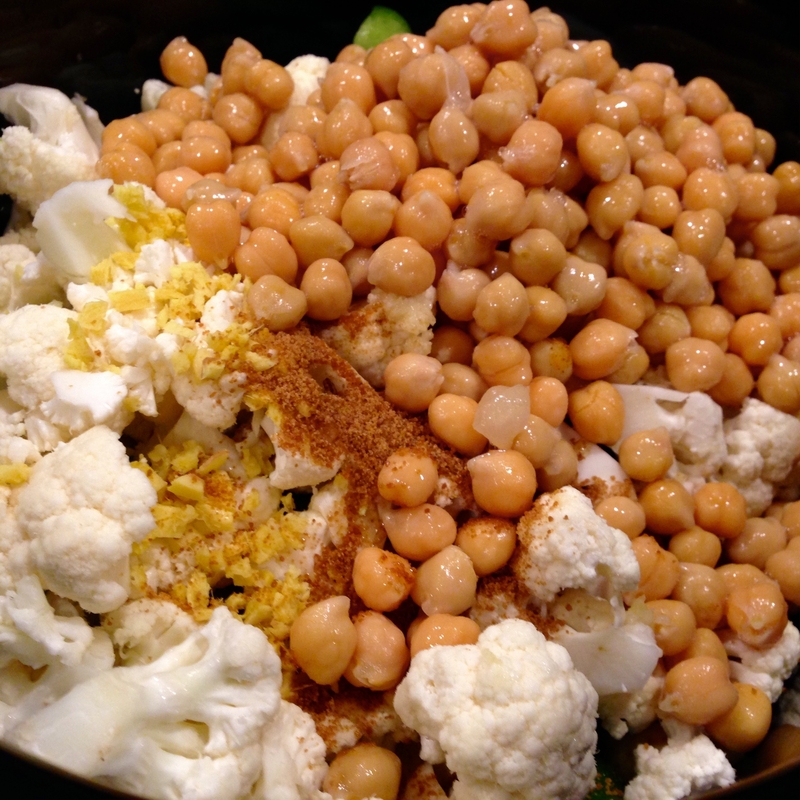 Warm spices, vegetables like peppers and onions that season the stew, belly filling and comforting potatoes, cancer fighting cruciferous cauliflower, immune boosting and anti-inflammatory ginger, and protein, fiber rich chick peas. It did its thing all day simmering and softening and slowly marinating every ingredient. I threw the greens in at the very end because they cook so fast. 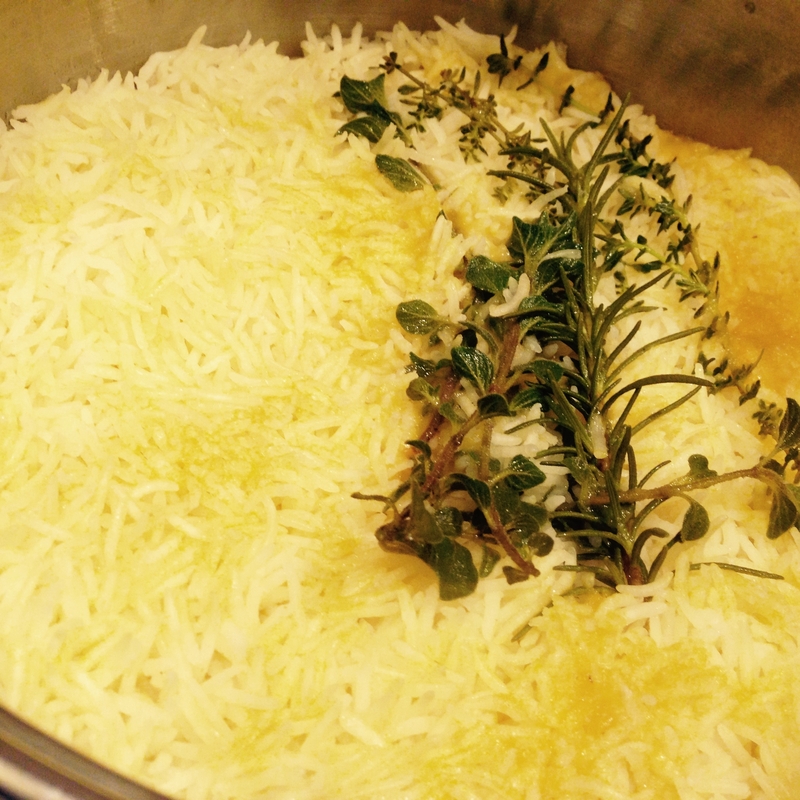 We served it over brown Jasmine rice using my Spiced Rice recipe + I added in a few sprigs of herbs from my garden which floated to the top at the end and made the rice really aromatic. 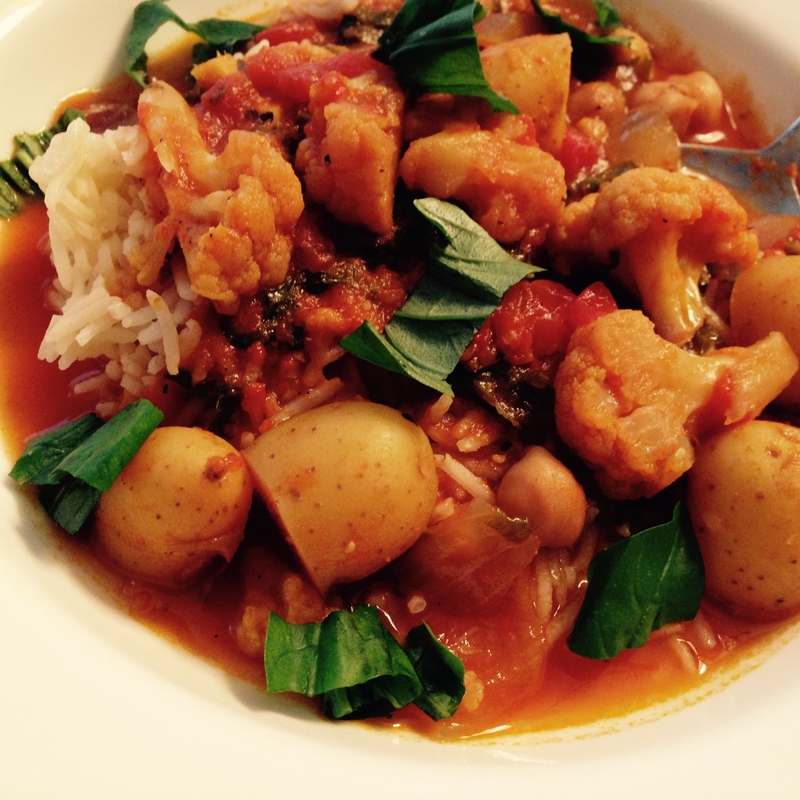 Place all ingredients except herbs and greens in your slow cooker. Set on LOW for 6 hours. 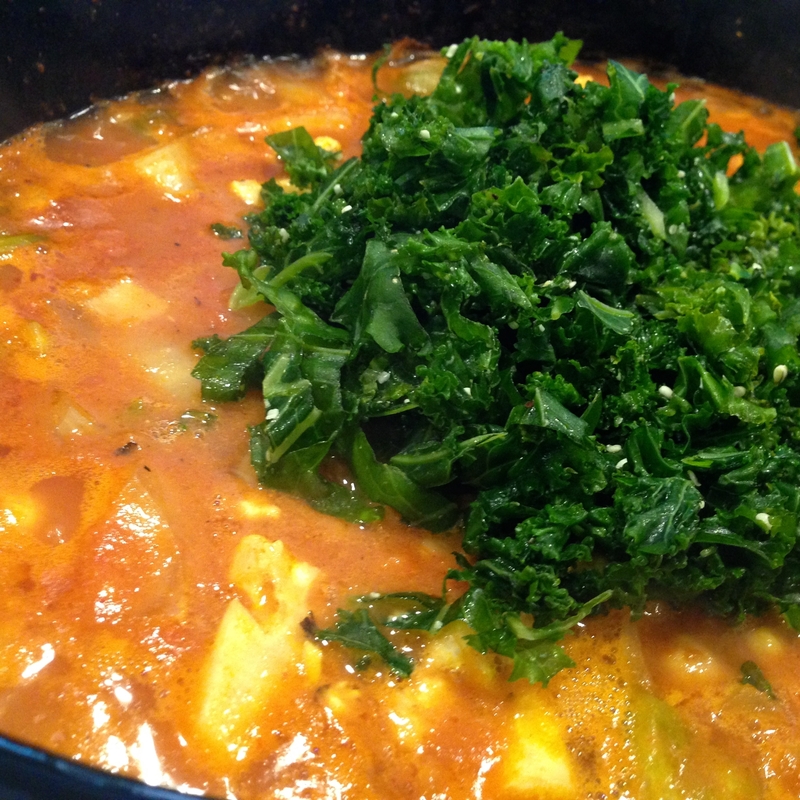 Stir in greens and herbs at the end as they will wilt and cook quickly. So tasty and so easy to make! This is probably one of my favorite soups now. Thanks for sharing Rajul! I’m so glad you tried it and liked it! Thank you! Previous post: How Do You Like Them Apples?